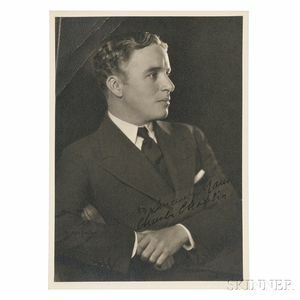 Black-and-white profile portrait of a suited Chaplin with hands clasped, signed across the chest, 7 x 5 in. 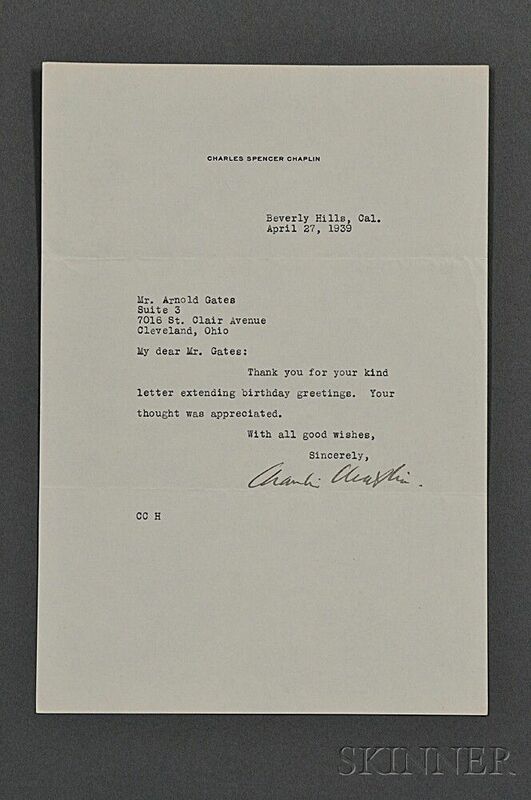 ; [and] single page typed letter signed on Chaplin's stationery, Beverly Hills, California, 27 April 1939. To Arnold Gates, thanking him for birthday greetings, two horizontal folds, 10 1/2 x 7 1/4 in.